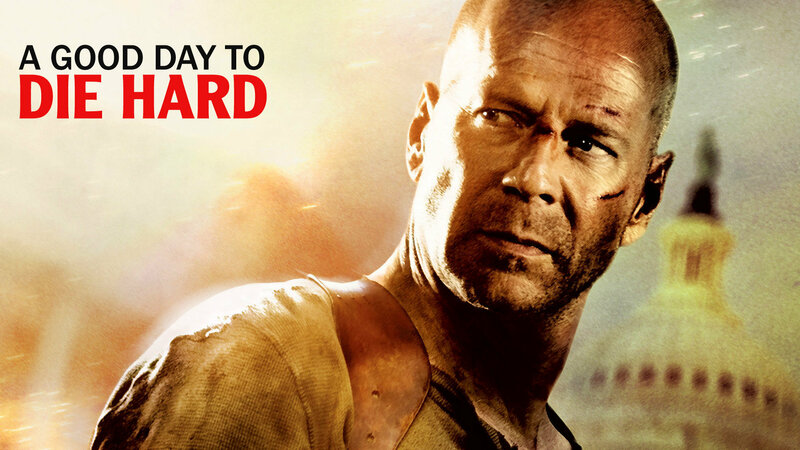 A Good Day to Die Hard marks the 5th installment, yes I said 5th, in the Die Hard franchise. 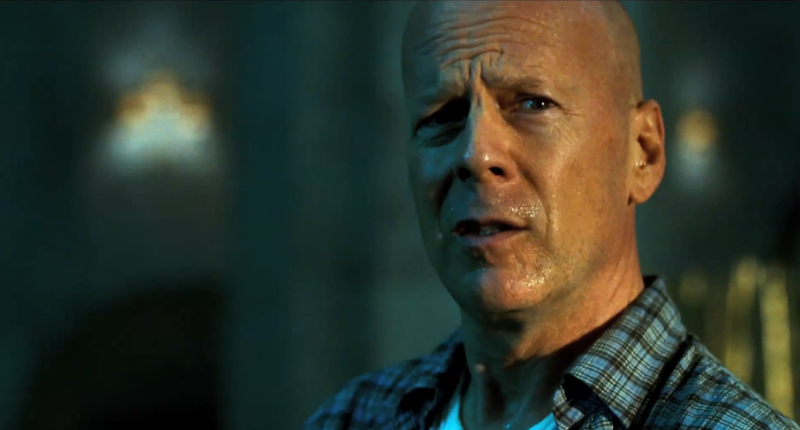 Bruce Willis reprises his role as John McClane with Mary Elizabeth Winstead coming back in a small role as his daughter Lucy. 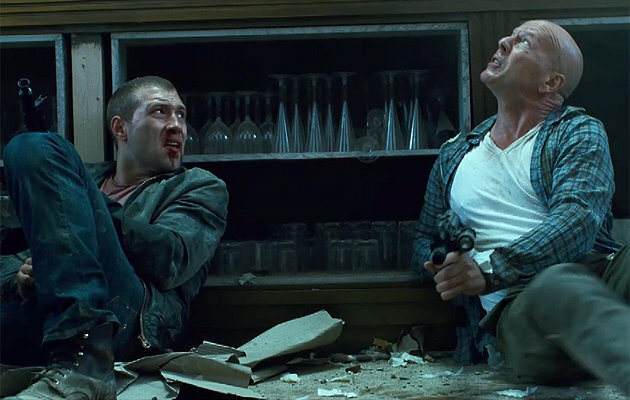 Then there’s new cast member Jai Courtney who is playing the role of Jack McClane ie. John McClane’s son. Having reconciled his relationship with his daughter in Die Hard 4, John McClane has apparently been searching for his son. He manages to find him in Russia and quickly boards a flight from New York. He eventually finds out that Jack is an undercover CIA operative working to prevent a nuclear-weapons heist. Of course now the two McClanes must team-up against underworld forces. Much like Live Free or Die Hard, this film deals with reconciliation between John McClane and one of his children. While his relationship with his daughter was saved because she simply “needed her daddy”, this film tends to do a better job of portraying the father and son relationship and its bond. Sure it’s cliche and predictable but at least it makes sense and you can see the progression throughout the film. Unfortunately, fans of the Die Hard franchise looking for classic John McClane might be a little disappointed. In previous films it has always been John McClane, guy in the wrong place and the wrong time, against a mad man (and his team). There is a back and forth almost comedic relationship between our hero and his new found enemy. This is severely missing from this new film. Not only is John not the only good guy but there are several bad guys. Missing is the typical cat and mouse game with witty banter only to be replaced by a certain foreign hybrid. And the classic lines you come to expect from a Die Hard film seem forced and out of place. Those out there who are just looking for a good action film should be warned. Die Hard has many many flaws that don’t take a vast knowledge of film to notice. The most obvious would be the absolutely terrible dialogue. I wouldn’t be surprised if this film generated some fun drinking games. How many times does McClane say he’s on vacation again? Less obvious is some really bad editing. This is the kind of editing that has people saying stuff but you never find out to whom or why. Seems the film is more concerned with creating hectic jump cuts and less with letting the viewer know what’s going on. A Good Day to Die Hard does have some good big budget action sequences. There is a fantastic car chase sequence and plenty of gun play but unless that’s all you care about, the film will seem quite hollow in comparison to the rest of the franchise. In fact, with all the poor pieces of filmmaking, the film might not only feel hollow but might leave you with a bad taste in your mouth. I’m not saying you should avoid the film but I do think you should know what your getting into before you decide to shill out your hard earned money.